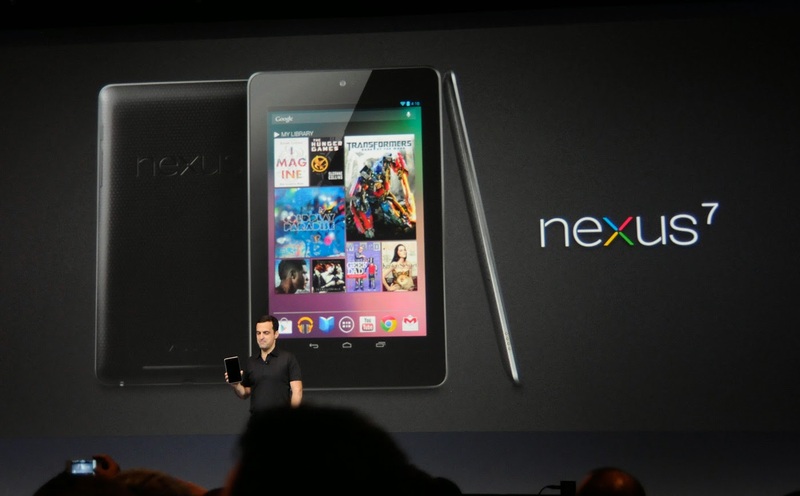 The name has not changed, but the new Nexus 7 looks taller and thinner than last year’s model. Actually, the two devices are the same height, but Asus has slimmed down the side bezels, making the 2013 model 6mm narrower than the previous version. As a result, the top and bottom bezels feel oddly oversized by comparison. However, you quickly become accustomed to the shape, and it is hard to complain about getting the same amount of screen in a smaller package. The new Nexus 7 is also lighter, down from 340g to 290g – a palpable 15% reduction in mass over the previous generation and thinner, measuring only 8.5mm thick. That is not quite as slim as Apple’s 7.2mm iPad mini, but if you are looking for an Android tablet, this is the thinnest and lightest we have seen. This does not mean it’s flimsy, however there is very little flex to the back, and scratch-resistant Corning glass covers the front. Inside, the quad-core 1.5GHz Snapdragon S4 Pro delivers much better performance than last year’s 1.3GHz Tegra and it is supported by a generous 2GB of RAM, plus a 400MHz Adreno GPU. This makes flicking around the Android 4.3 interface a stupendously snappy experience, and the full power of the hardware shines through in our benchmarks. The only real catch is that, as with the iPad, a screen this sharp exposes the shortcomings of the countless low-resolution JPEGs you will find online. Round the back of the device, you will find a new 5-megapixel, autofocus camera to partner the fixed-focus, 1.2-megapixel front-facing one. Image quality is a little cold and noisy, but it is fine for snapshots. There is also support for Bluetooth 4, SlimPort HDMI and Qi wireless charging. As before, GPS, NFC and dual-band 802.11n Wi-Fi are included. With all this hardware stuffed into such a slim case, you might expect power consumption to be a weak point. But while the rating of the Nexus 7’s internal battery, 3,950mAh – is below average, the device lasted 11hrs 48mins in our standard battery tests. That is 1hr 10mins short of the Asus Fonepad, but well ahead of most other compacts. The 2012 Nexus 7 managed only 8hrs 48mins. 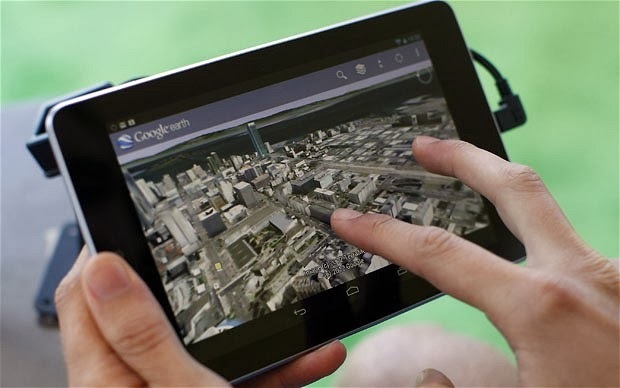 If you want to find niggles with the Nexus 7, you can. For a start, there’s no microSD slot. The speakers are clear, but weedy, especially at the low end. The power and volume buttons sit almost flush with the case, making them awkward to press. 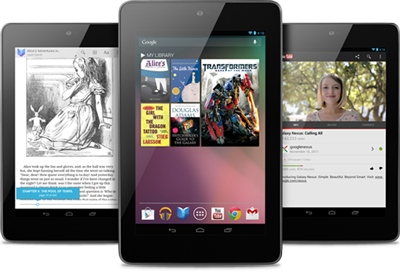 And although the price matches that of the original Nexus 7, it is not such great value any more especially when the 8GB Barnes & Noble Nook HD is priced at £79.